Providing you the best range of mineral water packing machine, mineral water project, drinking water bottling plant, blow moulding machine, mineral water plant and turnkey mineral water project with effective & timely delivery. We are manufacturer of all kind of packaging machine include mineral water bottle filling and capping machine. 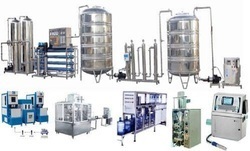 we are also providing water treatment plant and bottle group packing machine. By these machines we can produce 200ml, 500 ml, 1000ml and 2liter bottles in this machine. We are an eminent name, which is engaged in offering bottling machines for undertaking Mineral Water Projects. The offered range of machines is known for rendering safe drinking water with reverse osmosis system prior to pre treatment. 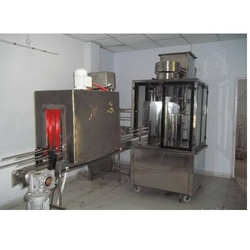 This range of bottling machines is known for its robust construction and superior performance. We are providing this Drinking Water Bottling Plant machine for mineral water packing in 200 ml to 2000 ml. The machine is suitable for produce 1000 cases in a day of in 10 working hrs. We can make 200ml, 500ml, 1000ml and 2 liters bottles. Having a steady quality administration process, we are readily engrossed in offering a wide collection of Blow Moulding Machine. 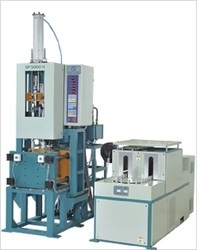 By making use of optimal grade material and modern techniques, these presented machines are made up and developed with excellence and can be availed from us in diverse stipulations. Besides this, our patrons can get these from us at most low-cost rates. We are offering Mineral Water Plant to our clients. Allpack Engineers is engaged in fabrication, designing and developing a wide range of Mineral Water Plant. Which are suitable for any application of mineral water industries. Price will be suitable for costumer from our side. We are offering Turnkey Mineral Water Project to our clients. We offer consultancy services for establishing turnkey mineral water project. We advice client on minute details involved in the designing, engineering and commissioning of the project. The source water is analyzed on certain parameters and according to the quality of water and level of contamination, we come up with the required treatment plant. Other than engineering and installation consultancy, our consultants also offer alternatives for cost cutting in the project. 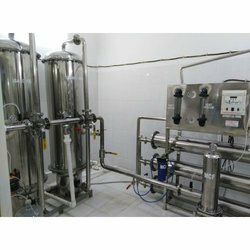 We are specialized in offering end to end solution for your mineral water treatment plant. ApplicationOur mineral water treatment projects consultants offer consultancy to many food & beverage industries and water packaging industries. Allpack Engineers is providing you the best range of mineral water packing machine, turnkey mineral water project, mineral water bottling machine, Pouch Packing machine, Bottle making machine (blow molding machine) batch coding machine, chemical and microbiological lab, and BIS consulting. we are the best service provider in mineral water projects even perfect support with technical and BIS Paper work.We are leading and reputed manufacturer of Mineral water related machineries for water treatment and packaging. 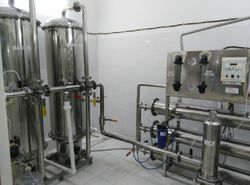 We install entire Mineral water /packaged drinking water plant (Fully Automatic as well as Semi Automatic) on Turnkey basis. We provide end to end services right from plant design to getting ISI license. We also provide marketing help to customers to sell their products in the market. We supply and install entire project as per Indian Standard specifications IS 14543:2004. Our products and service quality are highly appreciated & accepted by the industry and customers. As a result, we always remain at the forefront of the industry and we have 500 plus satisfied customers all over India. We have our state of the art manufacturing facility in Surat, Gujarat. We design and manufacture following products for water treatment and packaging.